Love going camping and reconnecting with nature while still having access to all the latest camping tools? Finding the perfect camping tools to smoothen up your trip could prove a difficult task, especially if you don’t have the necessary time to go through stores and look for them yourself.And even if you have the time, you may still not be able to choose which one is the best for you because you saw so many articles. So, let’s face it, no one wants to go on a camping trip without being prepared for everything. All the fuss about which items should you pack and which should be left at home will only add up to your stress level, making packing for a trip to actually become the most stressful activity you will have to deal with throughout your getaway. Well, no worries, we just found the best camping tools for you. We are as enthusiastic as you about trying new gadgets and gizmos that can turn shatter your world and blow your mind, so we only considered it useful to share some of our knowledge with you. Now, the only thing you have to do is just sit comfortably, and make plans for your next camping trip with your newest camping tools. It’s highly important for you to have the best camping tools, and, of course, to go light on while packing. Truth be told, no one wants to carry with them a heavy load. Maybe you have to go on foot for a while until arriving at your destination. After all, they are calling them camping tool for a reason. First thing first, the most important is to have the best tools for camping that you actually can use. Even if you want to reconnect with nature, you still need to stay connected with the world, and it’s a must to have a solar power bank in case your phone battery drains. 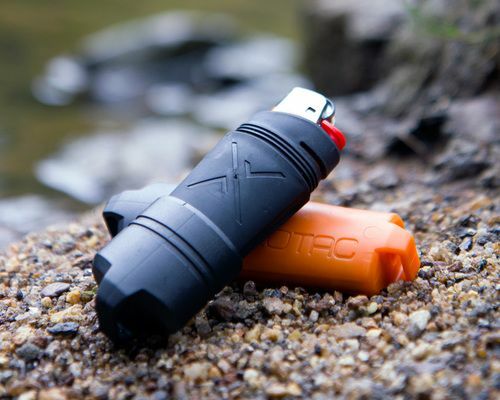 If it has a built-in flashlight, it’s a plus; you will have a two-in-one tool so you will not have to worry about packing two different items with you. So, we strongly suggest you should first consider the size of your backpack and try to keep it as light as possible. Opt for lightweight products or multipurpose tools that will diminish the number of items you carry around while still provide you all the required comfort for a pleasant staying and rekindling with nature. For a burst of energy after all the fresh air and in the morning, an awesome camping gadget could be a portable espresso maker, because who wants a cold coffee on a chilly morning when you are in the mountains. You won’t have to worry about finding electricity to make a good cup of espresso. It is all about comforts here. 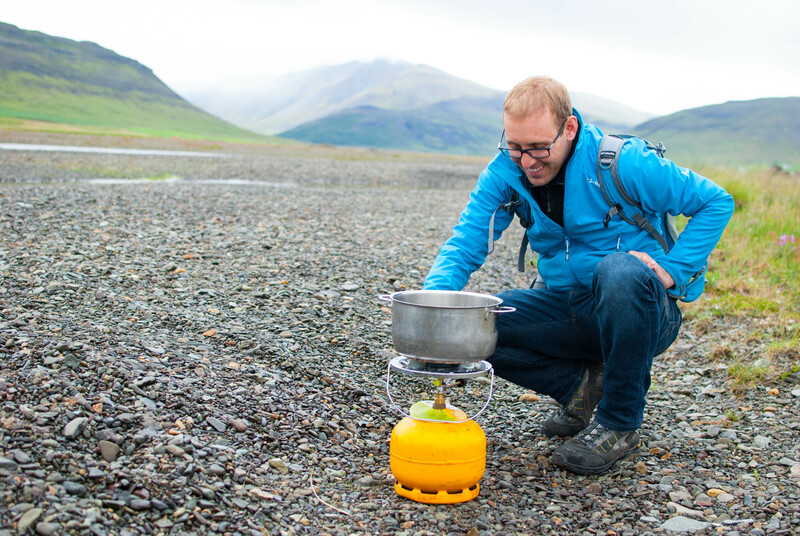 However, if you are into old-fashioned camping and you like to enjoy your coffee in a rather more conventional way when camping, you should opt for a regular pot where you can boil water, and add coffee. This way you won’t require electrical energy but you still be able to enjoy your morning liquor. Watches and compasses are very good camping tools. They always come in handy, and, in case you get lost and your phone has no reception, you can always rely on the compass or a watch to guide you. You must choose a compass that is waterproof, shockproof. One with phosphorescent illumination it’s a plus, but if you’re on a tighter budget, you can still opt for an old and simple compass for sale. In case you don’t have a compass, wearing a watch is mandatory. When purchasing a watch, you should look for features such as waterproof, shockproof, and vibration proof, and with complex sensors that will provide accurate, real-time notifications of activity tracking. So, basically we’re talking more about a smartwatch. A crucial tool for camping is a folding knife. You always need one to cut your food while on camping, or to cut some branches in order to make camp. The perfect folding knife is one that can fit into your pocket, and also features a safety barrel to keep the blade closed whenever you are not using the knife. Going on a camping trip by yourself it is not a very pleasant thing unlessyou like going alone on trips. Bringing your friends will always be a good thing and you should try a triple hammock that has a triangle shape and it’s very versatile. You just need to find a place near some trees and make camp. This very versatile platform can be used as a hammock for you and your friends to stay on, or to store above the ground your belongings, safe from ants or other insects that live on the ground. You can use this triangle platform to make a roof in case it rains. For families that love spending time together in nature, a kid camping bunk bed is very useful. It is easy to build, not heavy to carry and the kids will love it. The camping bunk bed is a portable multi-purpose bed that will make camping much more comfortable for kids and parents. Kids are not used to sleep in a sleeping bag, and they can get pretty restless in one. The best part of this tool is that you can use it even in your house when they have their friends of a sleepover or use it during the day as a sitting bench. The camping bed bunk bed is available for adults too. Thus, you can enjoy the comfort of sleeping in a real bed, instead of a sleeping bag and catch a good night sleep without having to worry about anything else.